To avoid being duped, hire taxis or auto-rickshaws from authorised pre-paid booths only. In case of on-road hires, agree to pay fare by the meter and check whether the meter is functional or not before getting into the vehicles. 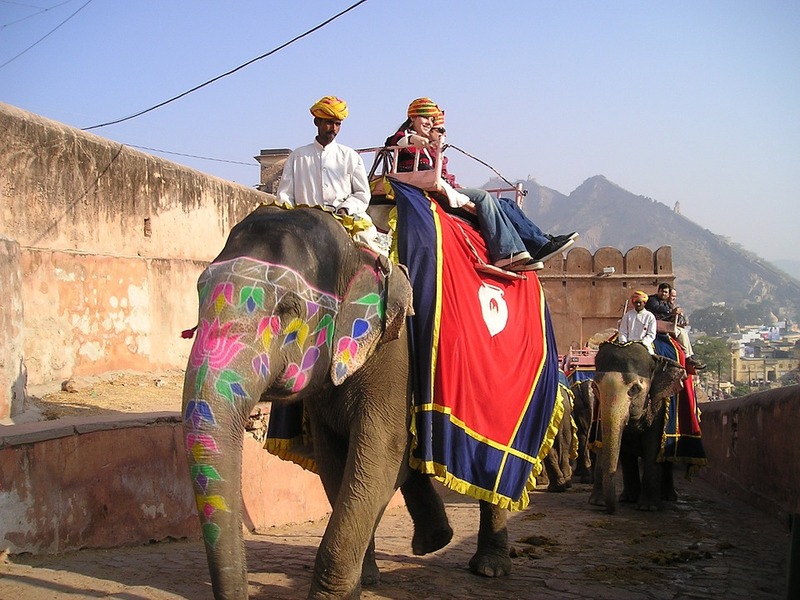 Fancying a trip to the incredible India? Here are 25 pointers for you before you embark on your dream vacation to the land of unparalleled spirituality, culture, and tradition. India has been a favored tourist destination ever since times immemorial. Its rich cultural diversity, interesting ethnicity, and great hospitality have smitten hearts of travellers all over the world for as long as one can remember. If you too happen to be planning to discover India anytime soon, read on to know how to make the most of your trip and make memories strong enough to last a lifetime! 1. Make sure you are carrying a proper visa and complete paperwork for a healthy and worry-free stay. Keep copies of these documents with you whenever and wherever you travel within the country. You may be asked to furnish such documents while on move, on a lookout for accommodation, or on a visit to public places. Hence, be ready and well-stocked. 2. Make advance bookings for pick-ups from airports and railway stations, and arrange for accommodations in advance. This may save you from a lot of initial effort and discomfort. All good hotels and transport providers can be accessed and booked via internet or telephone. So, make preparations in advance for a healthy and hassle-free welcome in India. 3. Go for sterilized, packaged drinking water. The normal tap water available in India might not help you stay healthy. Packaged drinking water bottles of varied quantities and sizes are easily available throughout the length and breadth of the country; however, make sure that the bottles are corked when you buy them. Shopkeepers may indulge in notorious fill-and-seal tactics. So, be aware while buying mineral water bottles. 4. Avoid tagging your pets along. India is not really a pet-sensitive country, and you might not be provided with desired assistance in public transport, hotels or other places, if you have your pets along. 5. Instead of shaking hands, try greeting people with folded hands and say namaste. This traditional greeting form will definitely help you receive affection, hospitality, and respect from the locals. 6. Instead of travelling India the foreign-exchange way, you may also make use of ATMs during your stay. India enjoys a well-stocked network of ATMs in almost every nook and corner of the country. You may use your Visa, Visa Electron, Master, and Maestro cards in any of the SBI or ICICI Bank ATMs easily available in India 24 hours. There are other banks also that enable you to use international credit cards. 7. Non-vegetarian food is available easily through the country; however, pork and beef are seldom served in common eating places. So, you may have to do with chicken, mutton, fish, and seafood during your stay. 8. Do not forget to carry a first-aid kit with you. Fill it up with basic emergency medicines, band-aids, and adhesive bandage besides other items of your need. Indian climate may not be too easy on you. So, equip yourself to deal with any unpleasant circumstances that might come your way. 9. Public toilet facilities may not be up-to-the-mark at many places. So, avoid using public toilets, and use clean toilets available in restraints and hotels instead. Also, carrying a toilet paper roll with you could be a great idea too. Not many places would offer you toilet paper in India. 10. Allow time for everything and everyone in India. Be patient, and everything is bound to fall in place. 11. Food is a great way of bonding in India. Go easy on yourself and relish the traditional delicacies available in different regions or states within India you are travelling to. If you avoid spicy food, inform your food managers or waiters politely. 12. Avail a good travel insurance for your trip and get yourself covered against any sort of loss, theft, or medical emergency. This way, you may enjoy a rest-assured trip. 13. Fair-complexioned, blonde, or red-haired people are quite uncommon in India. So, do not feel pestered if locals stare at you without any specific reason. It is plain curiosity that drives their stares. They do not mean to offend or make you uncomfortable. 14. Smoking is not allowed at prominent public places in India. So, avoid smoking in non-smoking or prohibited areas. Always ask before you smoke. 15. Do not dress up too flamboyantly. Indians are open-minded only to a ‘certain extent’ to female dressing. Therefore, make sure that you dress-up within bounds of appropriateness. Avoid shorts, skirts, or tops with bulging necklines. In fact, as a token of respect and adventure, once in a while try getting into some of the common and comfortable Indian-wears you can lay your hands on. Loose cotton trousers, payjamas and kurtas are great for males while salwaar-kameezes, kurtis and sarees are ideal options for females. 16. Always bargain before you dole out money. Shopkeepers will always try and extract a little extra money from you. Be cautious enough not to succumb to their bargaining ways. It is always better to take advice from locals while in the market. Indians are very hospitable by nature and would love to help you out with such things. So, whenever in doubt, feel free to ask for help. 17. To avoid getting lost, being mislead or wasting precious time and efforts, carry maps of places you would like to visit during your stay in India. Keep yourself updated with proper information about the place that you are visiting. It’s always good to be on your own. Isn’t it? 18. Make note of certain key numbers in a diary or on your mobile, in case you need immediate help. Some of the must-have contact numbers during your stay in India may include the following: Police (100), Fire Brigade (101), Ambulances (102), National Toll Free Trauma Care (108), and Railways Inquiry (139). You may dial 112 for Police using a GSM mobile phone. 19. To avoid being duped, hire taxis or auto-rickshaws from authorised pre-paid booths only. In case of on-road hires, agree to pay fare by the meter and check whether the meter is functional or not before getting into the vehicles. 20. As a mark of respect, please remove your footwear while visiting a place of worship or religious significance. You may deposit these in the cloakrooms built within the premises and collect them on your way out. There might be places which may not allow you to carry items such as eatables, electronic gadgets or leather goods inside. These must also be left outside or deposited in separate cloakrooms. 21. Be open to varied forms of Indian English being spoken around the country. Remember, English is not the first language in India, and you may not find a majority of the population fluent in English. Bear with them and try not to show amusement, disapproval or contempt at their choice of words or accent. However, majority of the population does comprehend and communicate simple English words and phrases without much effort. So feel free to ask for any kind of aid and assistance around. In all probability, language won’t be too difficult a barrier. 22. Be careful of the sun exposure when outside. Indian summer can be typically harsh for a lot of travelers. So, make sure you are equipped with a good supply of liquid intakes, sunscreen lotions, umbrellas, and other shields against the sun while you venture out. 23. Do not tip taxi or auto drivers, porters, waiters, guides, and others unnecessarily. Do not entertain street beggars. 24. Travel light. You will find anything and everything under the sun quite easily in India. Therefore, go easy on your luggage. 25. Be optimistic. India is renowned worldwide for its humility, amicability, and hospitality towards its guests or travelers. So, look forward to a rest-assured trip ahead. By and by, everything would fall into place, and before you even realize, you will be truly, madly, deeply, and head-over-heels in love with India. So much so that when the time comes to bid adieu, you will find it difficult to come back.